The OCTO-Z Inflator replaces the conventional BC power inflator and second stage octopus by combining the functions of both into a single unit. When you're taught how to dive you are given practice in buoyancy control more than any other skill. Once you start to dive every time you go underwater, fin the reef, or surface you use buoyancy control. All this time your octopus second stage regulator hangs un-used and out of mind. When a real life out-of-air situation occurs, the stress and anxiety mounts, and you find yourself fumbling for a piece of equipment you never use the Octopus! Combining your inflator devise (that you use on every dive) with your Octopus Regulator assures your ability to react properly when an out-of-air emergency occurs. Be a safe diver with the OCTO-Z Breathable Inflator. 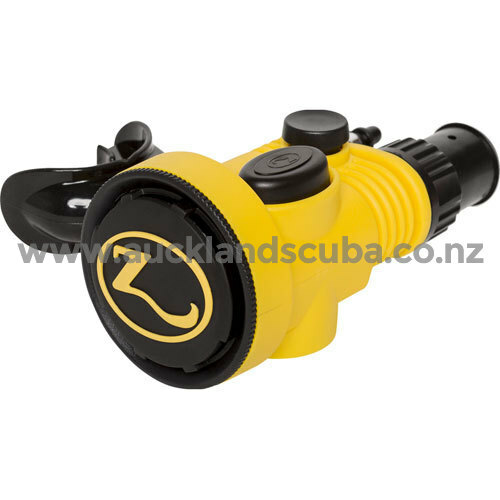 The OCTO-Z is a Dependable Downstream Demand Valve Design Breathable Inflator. The OCTO-Z has a Balanced Inflator Valve Design and is manufactured from Brass, Flexible and ridged Thermoplastics, Elastomeric Polymers and Silicone Rubber. The Breathable Inflator weighs 8 oz (213 g) without the hose, providing a Lightweight and Compact Alternative to having both a Standard Inflator Mechanism and a Separate Octopus Regulator. The High-Flow Inflator Hose is 27" (69 cm) in length with 3/8" Threads. 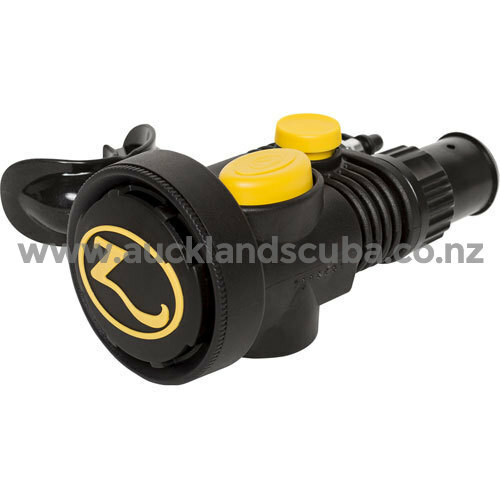 The OCTO-Z is also equipped with a Threaded Coupling that allows you to attach the end of the BC Corrugated Hose to a Garden Hose for Easy and Effective Rinsing of the BCD's Air Bladder. This feature also allows you to disconnect the OCTO-Z for storage with your Primary Regulator. 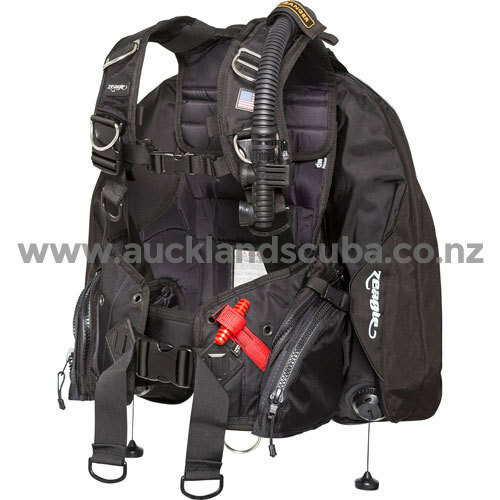 The combining of the Alternate Air Source and Inflator Mechanism also eliminates a Hose and Streamlines your Profile when diving. The OCTO-Z comes with a Comprehensive Owner's Manual.